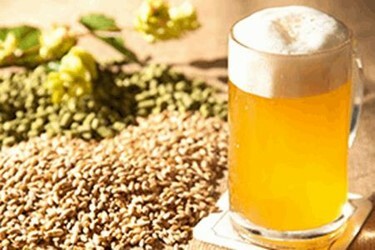 The Soft Drinks and Breweries businesses are characterized by high production volumes and the two major production steps of processing and packaging. Beverage categories, especially breweries, include additional functions like fermentation control and optimization, water treatment and energy optimization. Large soft drink manufacturers have started to integrate syrup preparation with packaging to better respond to shifting consumer demands. Volatile commodity and packing material costs representing up to 40 percent of revenues make scrap, rework or downgraded product expensive. In this highly consolidated industry, responding to shifting consumer tastes, maintaining operational efficiency and minimizing waste are critical. AVEVA helps Soft Drink Manufacturers and Breweries respond to shifting customer demands while maintaining operational efficiency and minimizing waste. AVEVA offers a range of solutions that meet business drivers and challenges. Wonderware Operations and Performance Software, a Manufacturing Execution Systems (MES) software application, helps standardize manufacturing processes while maintaining product safety with full traceability and trackability. Analytical software like Wonderware Intelligence enables contextualized reporting and analysis of an organization's production. Wonderware Packaging Solutions help monitor and control packaging operations for maximum throughput and minimum waste. Wonderware System Platform is a unified platform upon which AVEVA Food and Beverage solutions are integrated.